Rabies Outbreak: Take Recommended Precautions, Indiscriminate Culling Not The Answer. 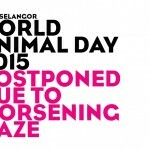 Do Not Panic, Says SPCA Selangor. 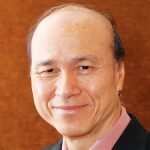 An ode to our much-loved Patron, by our Committee Member Chan Mo Lin! 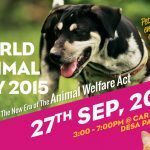 SPCA Selangor World Animal Day 2015! Let the good times roll, join us for an exciting and fun-filled CELEBRATION at Desa Parkcity! 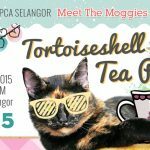 Tortoiseshell Tea Party @ SPCA Selangor! 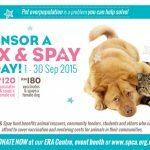 Donate RM15 for a drink, slice of delicious cake, and a relaxing Purr-Therapy session! 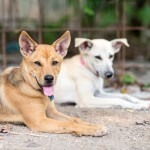 Vax & Spay Fund: You Can Do Your Part! Our COO Lorna Fisher was invited to give a talk on ‘Pets in the Community’ at the Rotary Club of Bangsar on 25th August.